These flags were designed to represent the unique qualities of your neighborhood. Vote for your favorite below. This design is pulled directly from Camp Washington's historic markers from around the neighborhood. The colors speak directly to the industrial history of Camp Washington and the shapes mirror some of the architectural elements that can be found in the neighborhood. This flag mirrors the facade of many old industrial building that can still be seen in Camp Washington today. One of the things that makes Camp Washington stand out from other neighborhoods are the old industrial buildings filled with historic meaning and the new, fresh artistic ventures opening up around the neighborhood. This flag is an abstraction of the three things that make Camp Washington original. 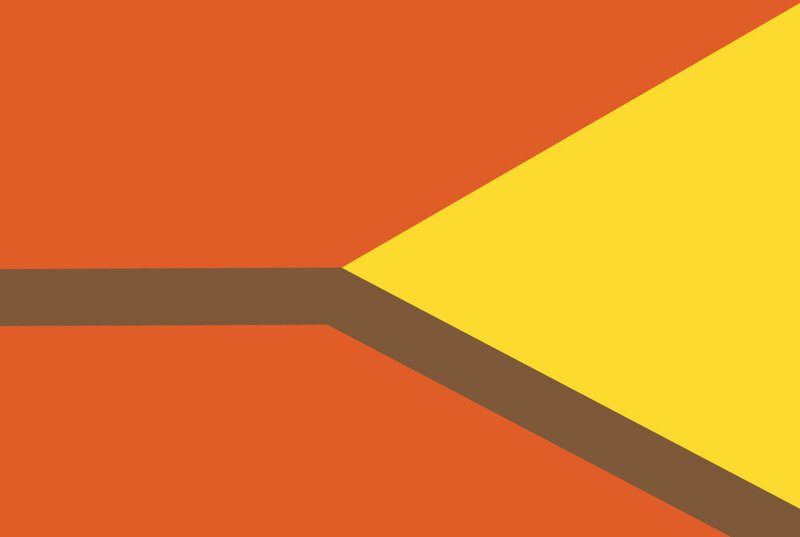 Orange for industry, yellow for history and, the brown line leading across the flag represents the path of the famous rail yard. Vote for your Neighborhood flag!